Concrete countertops provide a unique and natural feel unlike the “plastic” look created by many synthetic countertop materials. 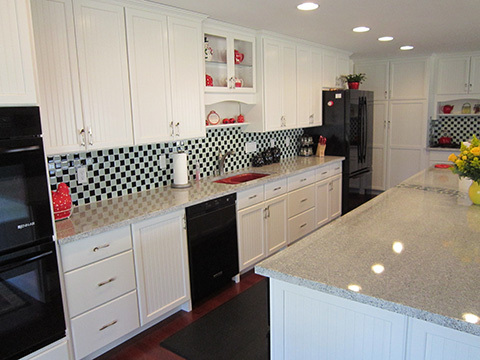 The versatility of concrete countertops allows for them to be used with any decorative style a client may have, whether it is traditional, country, contemporary, or modern. They can also be used in a commercial or industrial setting, such as a bar top at a restaurant. We also specialize in concrete tabletops, furniture, accent pieces, flower pots, and customized work. See our Photo Gallery for more concrete countertop pictures as well as the downloadable PDF documents below for color choices, aggregate choices, and more information on concrete countertops. Scofield Chromix Pigment – Countertop Base Color: These are pigments which provide base color for your concrete countertops.